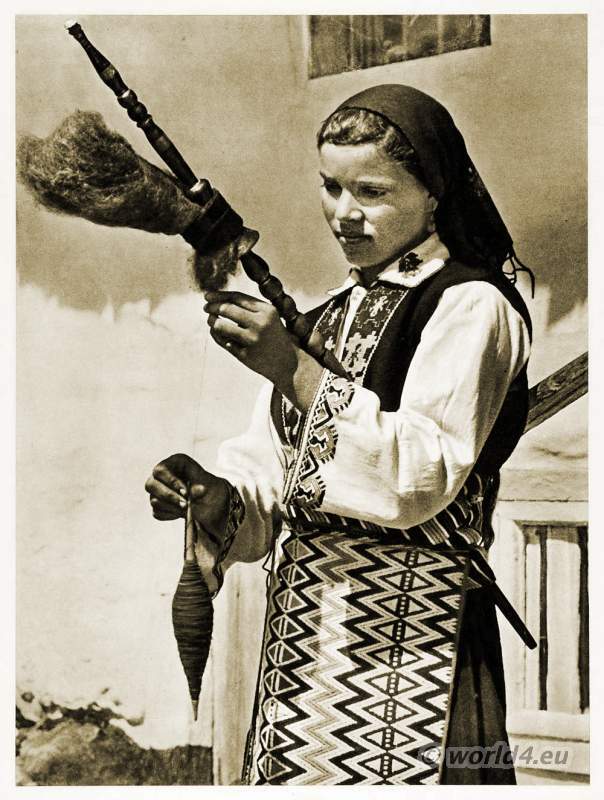 Bulgarian girl in traditional costume to 1940. Demonstrations of traditional wool processing. She turns a spindle in one hand while the other holds a beautifully turned bar where the raw wool is combed attached. She wears a headscarf, an ornate skirt and blouse. This entry was posted in 20th Century, Bulgaria, Traditional and tagged Traditional Bulgarian costume on 9/11/13 by world4.